Editor’s Note: This entry was in the files of Charles Richmond Henderson (1848 – 1915), a notable sociologist and prison reformer. Henderson’s first book was, “An Introduction to the Study of the Dependent, Defective, and Delinquent Classes,” which appeared in 1893. While the book in its original form has long since passed out of print and out of date, yet it formed an important landmark in the development of practical social science. It was the first serious attempt in America to present a complete view of the work of society along charitable and corrective lines. The new note that it struck was its emphasis upon the fact that all the interests of society were affected by the existence of the depraved and unfortunate classes, and that therefore the work in their behalf was a social task which must be shared by the whole community. George Fox, the founder of the Society of Friends, spent many years in prison from 1648 to 1675 in at least ten different jails. He describes one of these at Derby as “a nasty stinking place,” and the one at Doomsdale as “an unmentionably filthy dungeon.” He wrote to the authorities including Cromwell and Charles II many rigorous exposures of the character of the prisons and the inhuman treatment of the jailors. William Penn was for many months a prisoner in the Tower of London, and many thousands of Friends during that period were incarcerated; there being at one time more than three thousand of them imprisoned and scores of them died in jail, and many more after being released, from the abuse and the diseases contracted therein. These terrible experiences, both in England and Massachusetts, probably impressed very forcibly upon the Friends of that day, and upon their successors, the Christ’s teaching; Matt. 25:34 to 46 and the injunction of the Apostle Heb. 13:3., as more Friends, than of any other class, have interested themselves in prisoners and prisons, by visitation, and persistent efforts to aid the former and improve the latter. In the United States, in England and elsewhere many Friends were in their generations, and others are in this day, active and successful in these efforts. Among others there were in New York Isaac T. Hopper and especially his daughter, Abby. H. Gibbons, who, for over forty years was indefatigable in her efforts to secure important legal reformatory measures by the legislature. Chief among these was the Reformatory for Women at Bedford. James Wood, clerk of New York Yearly Meeting of Friends, has for several years been the President of its trustees. In Philadelphia the late Robert Vaux and Isaac Collins were prominent leaders in Prison Reform. The former planned the Eastern State Penitentiary, in Philadelphia and he was very active in its construction, and in the organization of the prison. John J. Lytle was for many years the very efficient Secretary of the Pennsylvania Prison Aid Association. George Vaux Jr. is now the leading Friend in Prison Reform in Pennsylvania. Joshua L. Baily, Mary M. Vaux, Deborah Leeds, Walter Smedly and others are also active in this work. In Maryland the late Richard M. Janny and others were leading members of the Prison Aid Society. The late John B. Crenshaw, of Richmond, Virginia, was a noted friend of the prisoner. Except in Indiana no organization of Friends has officially undertaken Prison Reform. Elsewhere all efforts in this direction have been upon individual responsibility. To little thought had been given to such matters (notwithstanding our State Constitution provided that “The penal code shall be founded on the principles of reformation and not of vindictive justice.”) by the public that the committee found it very difficult to awaken much interest in the subject. However, after several years of persistent and aggressive work, by which some of the more shameful abuses were exposed to the public, the Governor and some members of the Legislature were induced to investigate a few of the glaring evils complained of; and, slowly, but surely, one step after another was gained, until the condition of our State and County Institutions was greatly improved. The efforts of this committee hastened, if indeed they did not procure, the establishment of the Boys’ reformatory in 1869 at Plainfield and the Women’s Prison and Girls Reformatory in 1873 in Indianapolis and the correction of many abuses in the prisons, the Central Insane Hospital and the County Infirmaries; and it was largely, if not chiefly, through the influence of this committee that the Legislature of 1888-9 enacted a law creating a non-partisan Board of State Charities, to have advisory care of all the State and County Institutions, with authority to thoroughly inspect them, and to investigate any complaints or charges that might be made concerning their management. In 1871, previous to the meeting of the Legislature, the committee called a meeting at Indianapolis of a few citizens who had manifested a lively interest in the subject under discussion. A petition to the Legislature was prepared, praying first, for a Board of Supervisors (upon which there shall be at least two women), with authority to inspect and watch over the prisons, reformatories and benevolent institutions of the State, to report all abuses which may exist to the Governor, who shall have power to suspend any officer or director upon the recommendation of said Board, and the members to serve without compensation for their services except their necessary expenses. Second, for the improvement of our County jails, so that the younger shall be separated from the older and hardened, and that male and female prisoners be kept separate. Third, to take the initiatory steps for the erection of an intermediate prison for the young and for first offenders, where proper reformatory measures can be used with a view to the abandonment of the Jeffersonville prison, which is wholly unfit for use, and the sending of the older and hardened criminals to the Michigan City prison. With an allusion to the disastrous effects of the partisan management of the State Institutions by the removal of the officers by every change in the political character of the Legislature. In 1870 the National Prison Congress was organized in Cincinnati and Charles F. Coffin, the chairman of this committee until 1884, when he removed to Chicago, was a prominent member of this important organization. In 1872 he and his wife, Rhoda M. Coffin, inspected prisons and reformatories in England and other parts of Europe, and attended, as members, the first International Prison Congress organized that year in London. At that time he was one of the Trustees of The Boys’ Reformatory at Plainfield, and subsequently his wife was a trustee of the Women’s Prison and Girls Reformatory in Indianapolis, and she was added to the committee of 1867 in 1875. This has ever been considered a model institution officered and managed wholly by women. Of the four superintendents, the first, Sarah J. Smith, and the second, Elmina Johnson, were Friends, and the fourth and present Superintendent, Emily E. Rhodes, is a Friend. 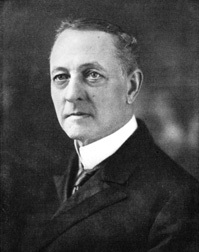 Murray Shipley, of Cincinnati, a member of the committee, was for some years a member of the Board of State Charities of Ohio, and Timothy Nicholson, a third member of this committee was a charter member of the Indiana Board of State Charities from its organization in 1889 until his voluntary retirement in 1908; and for twelve years he was chairman of the State Board’s Sub-committee on Prisons. In 1909 the conditions of the State penal institutions was so satisfactory there seemed no necessity for this committee of 1867, and it was released after forty-two years of service. Its annual Reports for this period cover more than one hundred pages of a large Record Book. Frequently in our National Conference of Charities and Correction, in the National Prison Association, and in the Annual Reports of The Indiana Board of State Charities very complimentary references have been made to the very valuable work of this committee of Friends. Source: Henderson, Charles Richmond. Papers, [Box 2, Folder 10], Special Collections Research Center, University of Chicago Library.